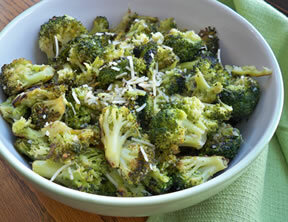 A great way to prepare broccoli if you are looking for a change from having it steamed or boiled. 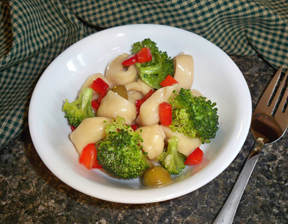 Cut broccoli into bite-size pieces and add to boiling water; cook for only about 5 minutes. Broccoli should just be cooked to a crisp tender. Rinse with cold water to stop cooking; drain well. Place in a buttered 2 quart baking dish. Mix the remaining ingredients together in a bowl. 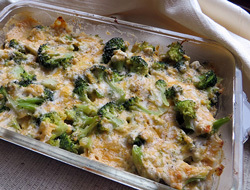 Spread this mixture evenly over the broccoli. Bake in preheated oven for 30 to 45 minutes. Serve immediately. 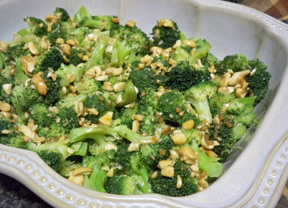 "A nice way to fix broccoli for a change from boiled or steamed. It had cheese on it but was not overly cheesy. I thought it was very good and my kids liked it this way too."